When someone is diagnosed with a terminal illness, where do they and their loved ones turn for support? A hospice cares for patients and families on their end-of-life journey by providing medical, emotional, spiritual and physical support wherever the patient calls home. Care is provided by a team that includes a physician, nurse, social worker, non-denominational chaplain, certified nursing assistant and trained volunteers. Hospice care focuses on improving quality of life with pain control and symptom management so that patients can maximize the quality of the time that remains. Each patient and his or her caregivers receive individualized care that meets their unique physical, emotional and spiritual needs. 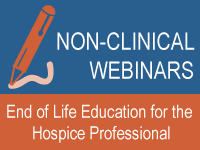 Hospice is not a single place or organization. Some hospices are independent and others are part of a large company. Hospices are not all connected together. Both for-profit and non-profit hospices provide care. Hospices care for patients with many different diseases such as Alzheimer’s/dementia, ALS (Lou Gehrig’s Disease), cancer, congestive heart failure, COPD, emphysema, liver disease, Multiple Sclerosis, renal disease, stroke or failure to thrive. A patient is immediately entitled to hospice care once he or she is diagnosed with an end-stage illness that has a prognosis of six months or less. It is most ideal for patients in the last six months of life, not just for people in the last 24-48 hours of life. Selecting hospice care early lets patients achieve control of their environment and symptoms. A 2004 Journal of Pain and Symptom Management article, “Medicare Cost in Matched Hospice and Non-Hospice Cohorts,” showed that patients enrolled in hospice cost Medicare less. The research also showed that hospice patients lived longer on the average than similar patients who did not choose hospice care. Hospice care eases caregiver burdens and provides cost savings for weeks, months and sometimes years. Hospice care also decreases costly hospitalizations. According to the Journal of the American Medical Association, patients not enrolled in hospice care spend 23 or their last days in the hospital, while patients enrolled in hospice spend only eight days in acute care settings. Choosing hospice care shifts the focus of treatment from aggressive medical curative measures to medical comfort measures. 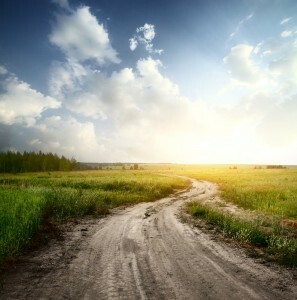 Hospice does nothing to speed up or slow down the dying process, but accepts death as a natural and inevitable event. Although some mistakenly see hospice care as giving up all hope, studies have demonstrated that hospice patients improve physically and emotionally, because their home and family situations have stabilized, their economic worries are reduced and lastly, but most significantly, their pain is better controlled. Hospice care is most beneficial for patients who enroll early rather than in the last days and weeks of life. “With earlier referral to a hospice program, patients may receive care that results in better management of symptoms, leading to stabilization of their condition and prolonged survival,” wrote the authors of a 2010 New England Journal of Medicine study. The study reported patients were happier, more mobile, in less pain and lived nearly three months longer. The National Hospice and Palliative Care Organization (NHPCO) reports that eight out of 10 Americans want to be cared for in their homes when facing a life-limiting illness. And, almost 70 percent of patients receive care in their place of residence. More than 1.5 million people with a life-limiting illness get help from the nation’s hospice and palliative care providers every single year. People choose hospice so that their final months and days are spent comfortably with loved ones. Family members, friends, physicians and even patients themselves can refer to hospice, but a physician’s order is still required. 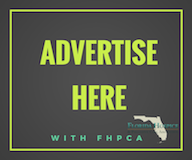 Finding a hospice in your area is as simple as using NHPCO’s website, www.NHPCO.org, or Florida Hospice and Palliative Care’s site, www.FloridaHospices.org. It’s never too early to call a hospice for help, to ask a simple question or to refer a patient. Since 1990, Hospice of the Comforter has provided compassionate care to tens of thousands of patients and families who are our friends and neighbors. As a local, nonprofit hospice, our support and resources come from our supportive community. We stand behind our mission of being compassionate people providing compassionate care. 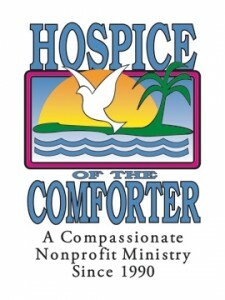 For more information on Hospice of the Comforter, please visit www.HospiceoftheComforter.org.